Most orders received before 1:00 PM P.S.T are shipped same day! Contact us toll free at 877-776-4595 to place an order or ask a question. Shop online and save time and money to upgrade your bicyce. 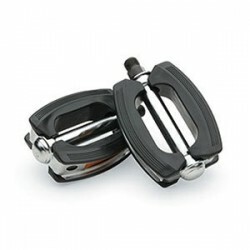 We carry over 3,000 differnt bicycle parts and over 50 differnt bicycle styles. Our majour brands are Lowrider, Beach Cruiser, Chopper and Stretch Limo Bicycles. We also carry hard to find bicycle parts. Why pay more? Shop Street Lowrider and Save Money! 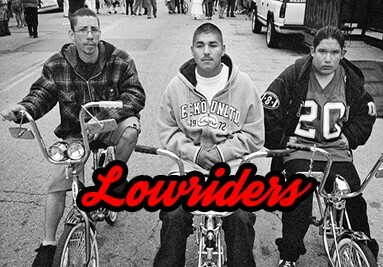 Street Lowrider is the source for all your lowrider, beach cruiser, chopper bikes and parts needs.We have the lowest possible price on our complete inventroy of lowrider bikes, cruisers, choppers and bike parts. If you find any price lower than our price we will gladly give you a price match. Please feel free to browse our catalog feautring low prices on chrome and differnt color lowrider bikes, beach cruiser bicycle, lowrider bike parts. 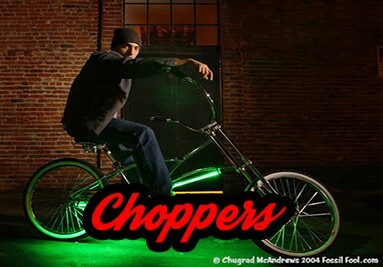 Check out our new limo and chopper bikes and twisted painted lowerider frames and bikes. We specialize in the finest in wheels, lowrider tires, steering wheels, mufflers, grips, mirrors, sprockets, trike kits, gold parts, valve caps, and a full line of twisted parts. All this to customize your bike the way you want. We ant to be your major source for lowrider bikes, lowrider bike parts, beach cruisers, and lowrider bike accessories.